English Under the Arches (EUA) is classes that teach managers who speak other languages to have the skills to write and speak with customers in English. There are four classes in this program: Shift Basics, Shift Conversation, Shift Writing and Conducting Performance Reviews. 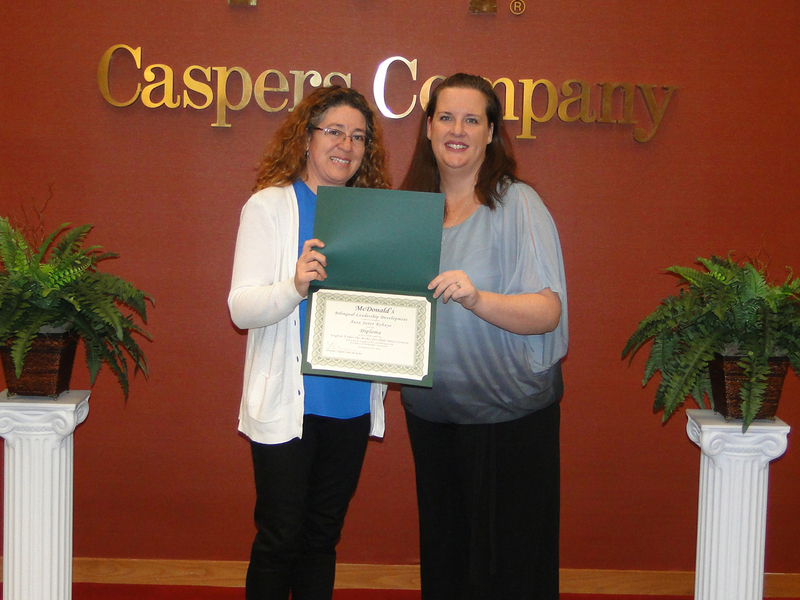 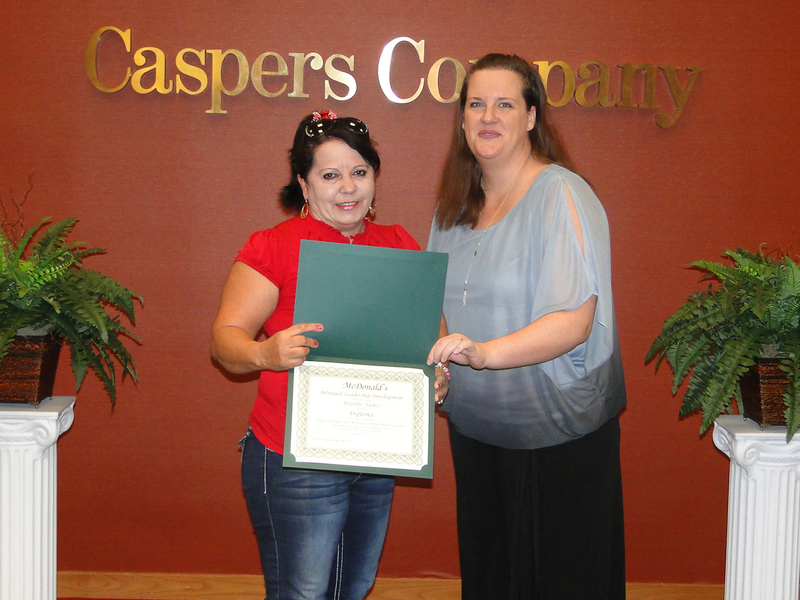 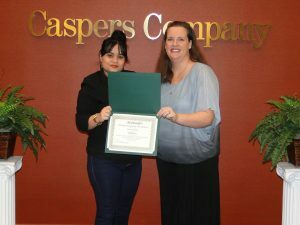 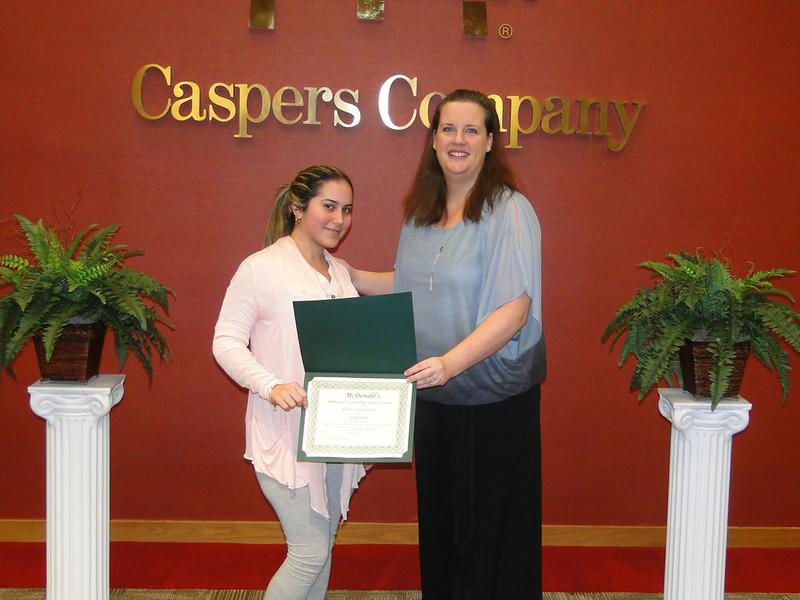 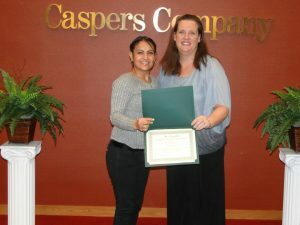 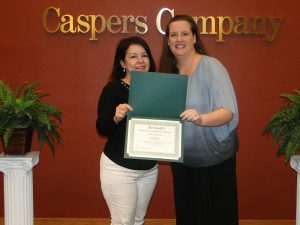 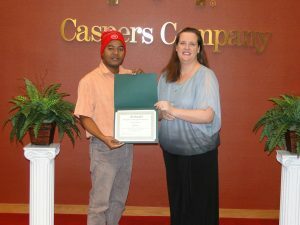 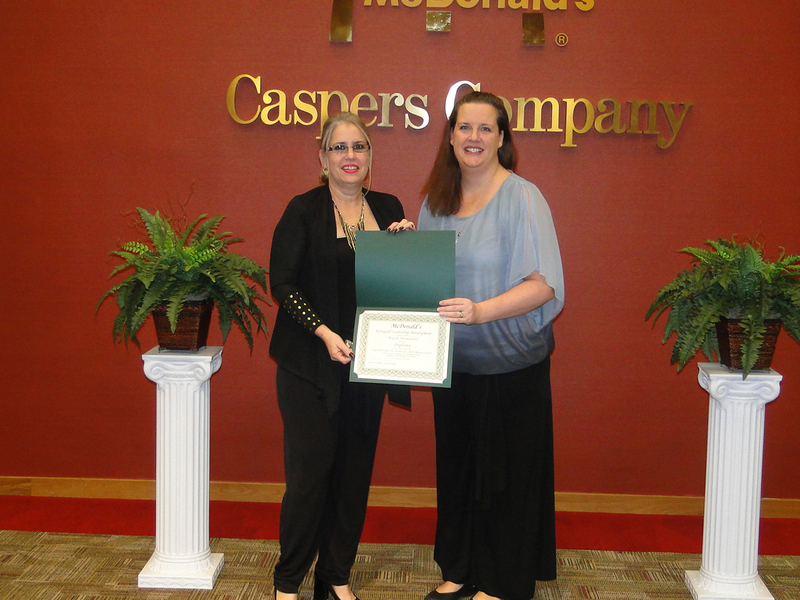 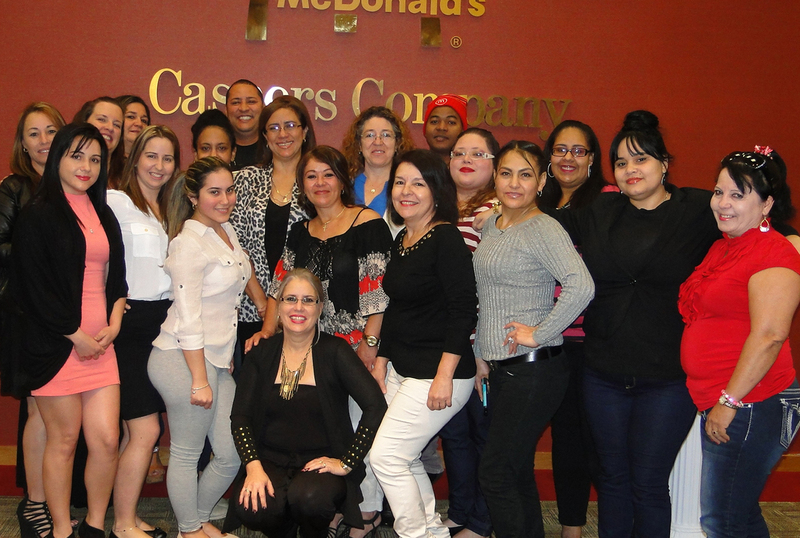 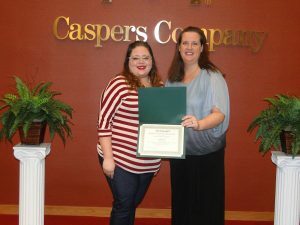 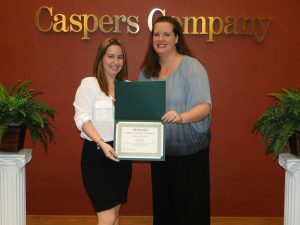 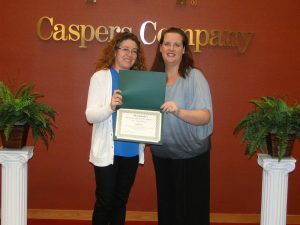 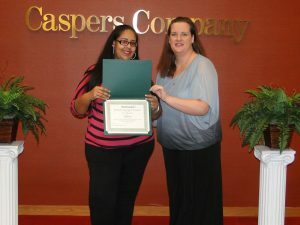 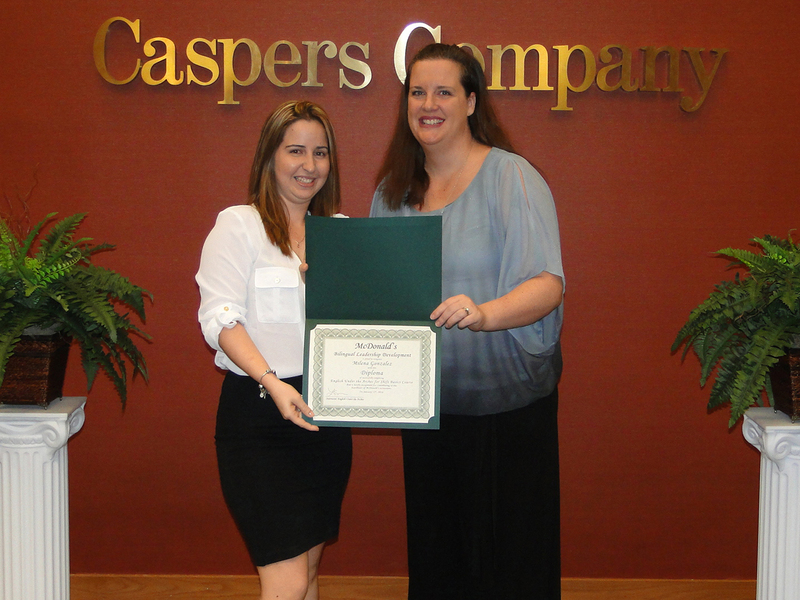 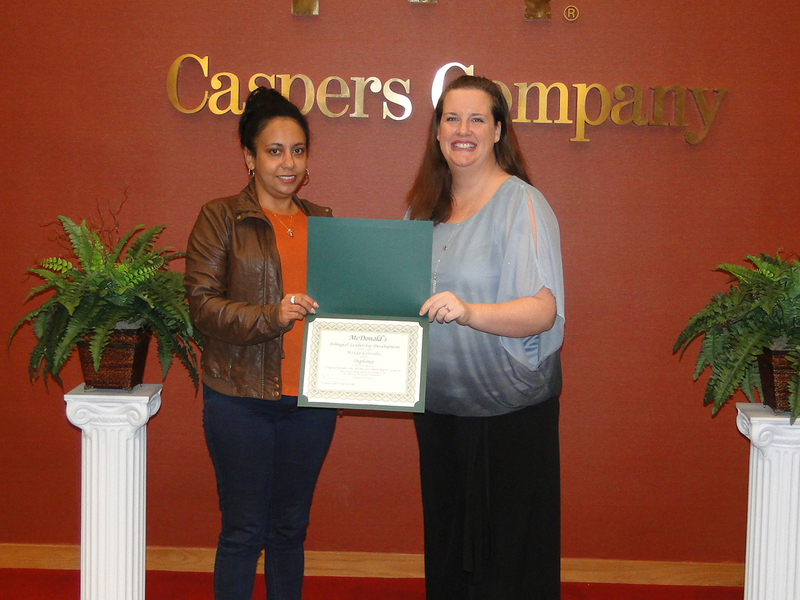 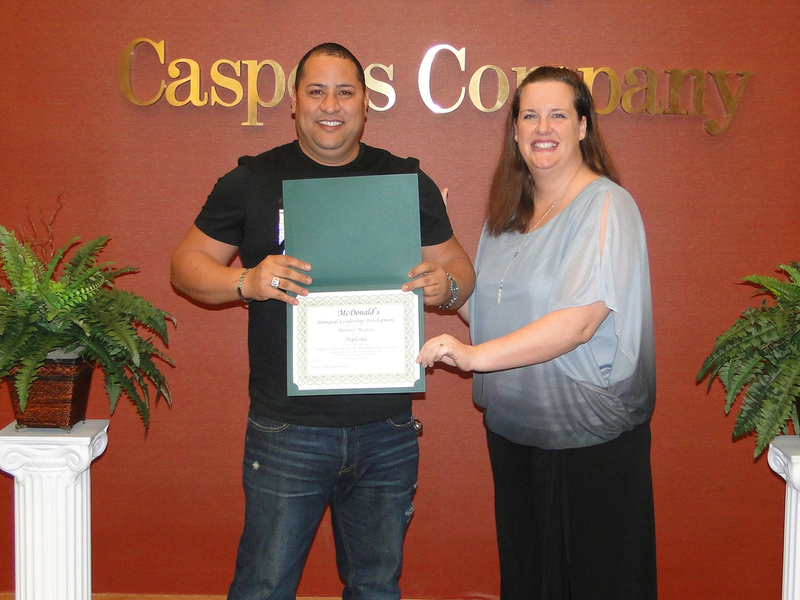 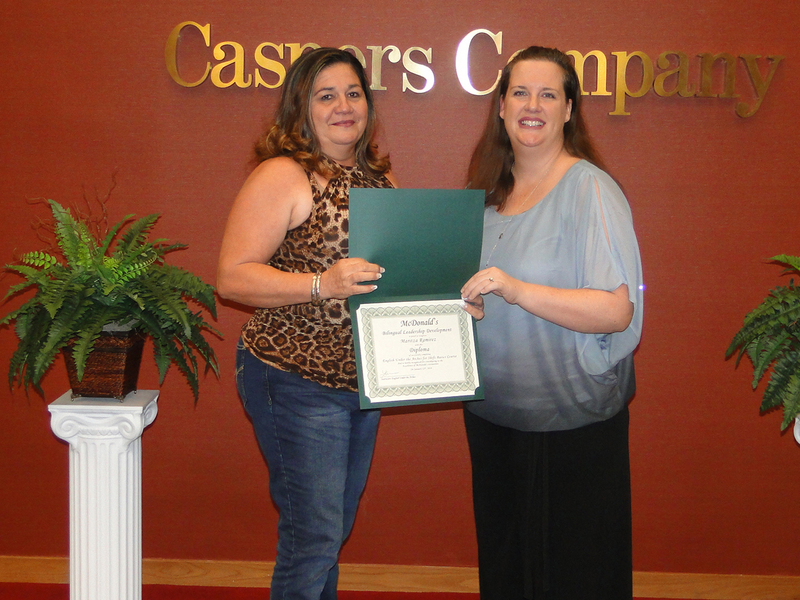 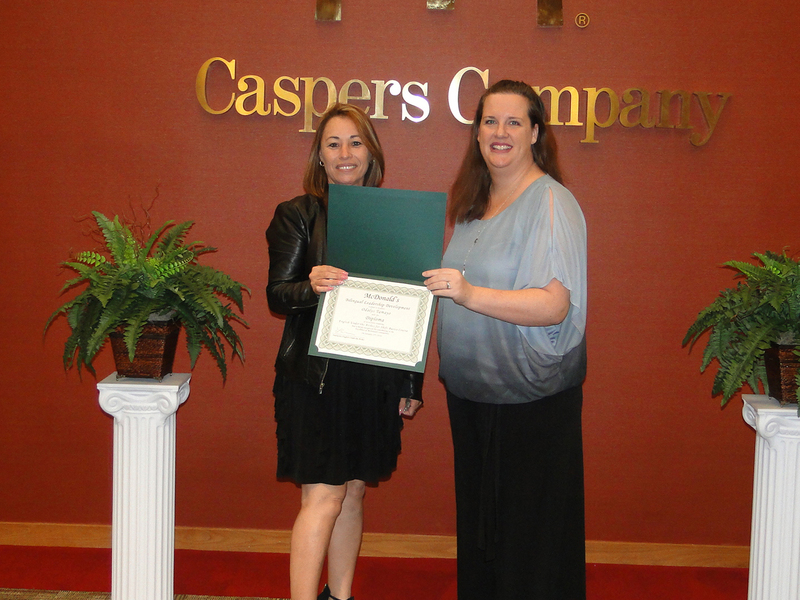 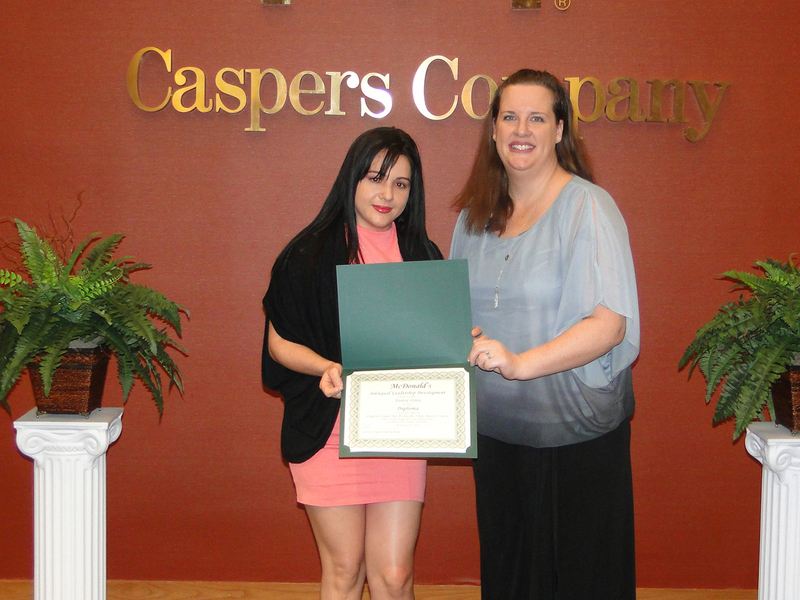 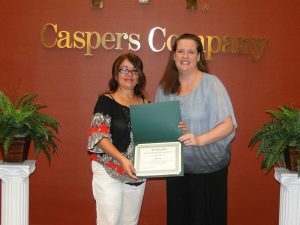 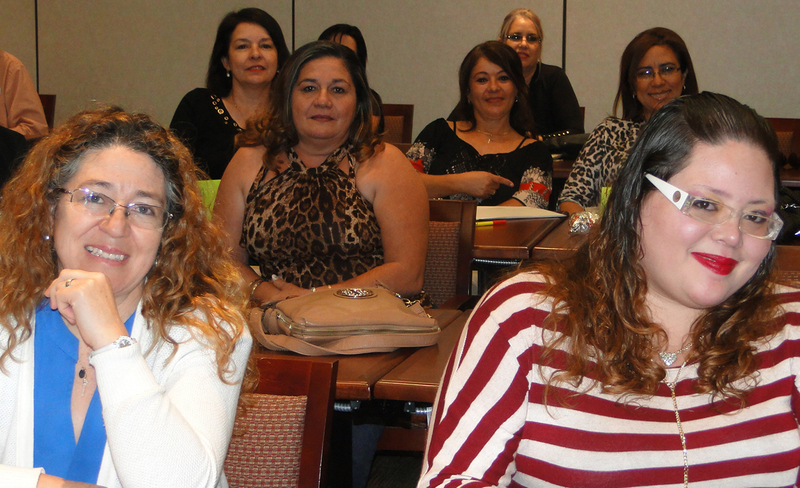 These classes help our shift managers to reach goals they have in Caspers Company and in their personal life. We are very proud of our managers that graduated for the Shift Basics Class. They received a lapel pin and a certificate of completion. These employees graduated and had their picture taken with their instructor Laura Monroe. 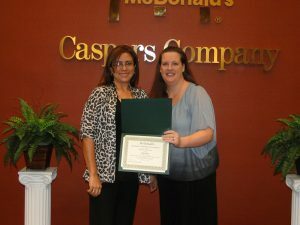 They enjoyed lots of delicious appetizers and cake in their honor after the graduation. Please congratulate our EUA graduating classes!